1. No. 243, 248, 262, 304, 706: to "Zhong Zheng Second Police District". 2. No. 1, 204, 630: to "ChienKuo High School". 3. No. 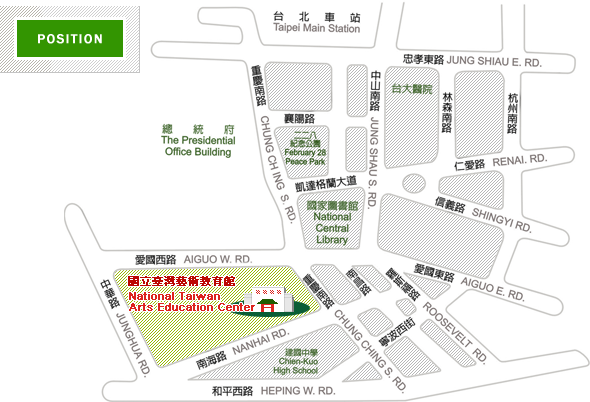 3, 5, 18, 38, 227, 235, 241, 243, 295, 662, 663: to "Nanchang Road Sec.1".". 4. No. 1, 204, 630, 242, 624, 907, Heping MainLine, BL28: to "Botanical Garden". 5. All Roosevelt Road Lines：to "Namen Market".